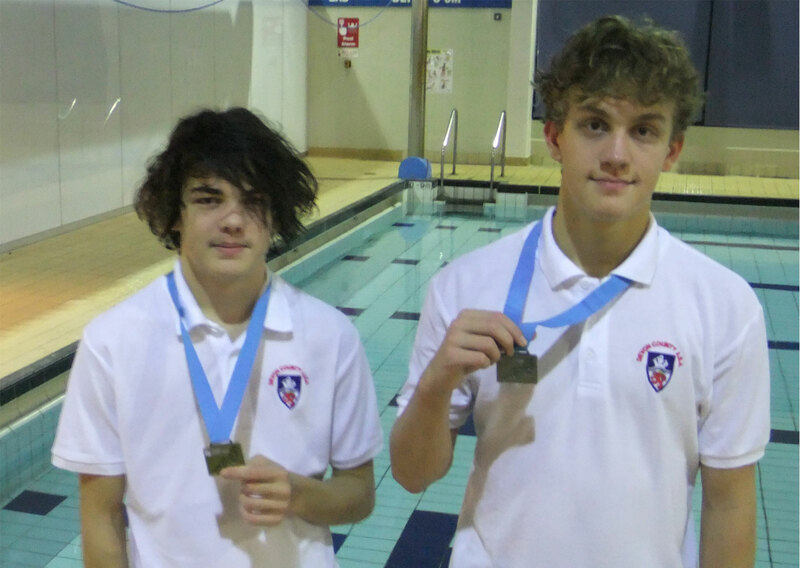 Last weekend brothers, Jasper and Charlie Wilkes, took part in the South West inter-county water polo championship at Millfield School in Somerset. Jasper played for the U15 mixed Devon team who won gold by beating old rivals, and last year’s victors, Gloucestershire, in the final. Charlie played for the U17 boys’ team where the situation was reversed with Gloucestershire narrowly beating Devon in the final. Devon achieved a very worthy silver medal. Over the summer, as well as playing for Paignton, Jasper has been training with the Devonport water polo team in Plymouth. This culminated with him being part of an U15 boys’ team that went to NAGs (National Age Group) championship in Manchester in October. The boys came ninth overall out of eighteen teams, which is a remarkable achievement given that this competition is a big step up from the Devon league and attracts the best teams from all over the country!